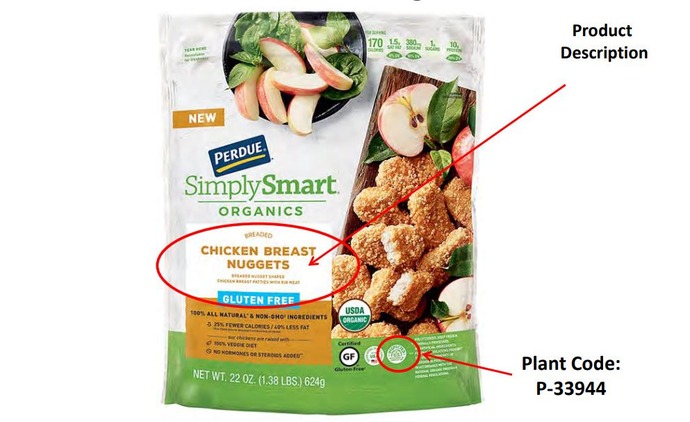 According to the USDA, Perdue Foods LLC is issuing a prompt recall of nearly 70,000 pounds of ready-to-eat chicken nuggets because the company fears there's wood - yes, wood - in them. Somehow, that might not even be the most surprising thing about this story. The official recall doesn't really tell us how exactly wood would have gotten into a bunch of tasty (and gluten free!) chicken nuggets, stating simply that the food "may be contaminated with extraneous materials, specifically wood." We're left to imagine a scenario by which wood was mixed in with the chicken during processing. Interestingly, while the USDA labels the recall with a health risk of "High," the bulletin also notes that nobody has actually been made sick by the woody nuggets. The company received a total of three consumer complaints, leading them to issue the recall, but the USDA notes that there are zero "confirmed reports of adverse reactions due to consumption of these products." "[The USDA] is concerned that some product may be frozen and in consumers' freezers," the agency writes in the bulletin. "Consumers who have purchased these products are urged not to consume them. These products should be thrown away or returned to the place of purchase."